Students, alumni, faculty and guests will gather in the Theater at Madison Square Garden for the College’s 50th Commencement exercises on Wednesday, June 3, at 10:30 AM and 3:30 PM. Honorary doctorates will be presented to Robert Katzmann, Chief Judge of the United States Court of Appeals for the Second Circuit, and William Ramirez, Executive Director of American Civil Liberties Union of Puerto Rico, who will also serve as speakers at each ceremony. Both honorees are prominent figures in the law who have demonstrated their commitment to the cause of justice. 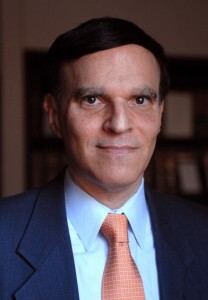 Throughout his career Chief Judge Katzmann has championed the rights of immigrants in the legal system. He created the Immigrant Justice Corps, the country’s first fellowship program dedicated to meeting the critical need for high-quality legal assistance for immigrants. The Immigrant Justice Corps recruits talented lawyers and college graduates and partners them with New York City’s leading non-profit legal services providers and community-based organizations to offer a broad range of immigration assistance. Mr. Ramirez is a national human rights leader who has devoted most of his professional life to reforming the Puerto Rican Police Department, creating the Gender Violence Police Accountability Project, and human rights activism. Mr. Ramirez was the founding Vice President of the American Civil Liberties Union of Puerto Rico and in 2004 he became its Executive Director. His work resulted in a National ACLU report, “Island of Impunity: Puerto Rico’s Outlaw Police Force,” which led ultimately to a federal court-supervised consent order in 2013 for sustainable reform of Puerto Rico’s Police Department. For more information about John Jay’s Commencement ceremonies, visit: http://www.jjay.cuny.edu/commencement-ceremony-information. 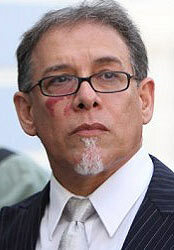 William Ramirez is the Executive Director of American Civil Liberties Union of Puerto Rico. He has devoted most of his professional life to reforming the Puerto Rican Police Department, creating the Gender Violence Police Accountability Project, and human rights activism. Mr. Ramirez, who grew up in the South Bronx, was the founding Vice President of the ACLU of Puerto Rico and in his early years in that position investigated allegations of human rights abuses directed at homeless drug users participating in federally funded needle exchange programs. In 2007, the ACLU began to file charges against the Puerto Rican Police Department with the Civil Rights Division of the Department of Justice. His work resulted in a National ACLU report which led to a federal court-supervised consent order for sustainable reform of Puerto Rico’s Police Department. This effort by Mr. Ramirez was undertaken despite the threats that were directed at him and the ACLU. As a result of the Gender Violence Police Accountability project, hundreds of women around the island have been trained as independent overseers or monitors of police compliance with domestic violence protocols mandated by the federal government. Currently, Mr. Ramirez is working on reforming the criminal justice system in Puerto Rico in collaboration with the Supreme Court Commission on Access to Justice and the Puerto Rico Open Places initiative.